Who ya gonna call? Hulkbuster! If there’s something hulking in your neighbourhood, who ya gonna call? If there’s something green and it looks like it may be filled with rage so catastrophically monstrous that it can f***ing brain-punch a gigantic Chitauri Sky war-worm to death with a single blow, who ya gonna call! Someone else! Or maybe, the Hulkbuster! This figure will measure in at a height of 55cm or 21 inches. That’s the John Holmes of Iron Man figures, as this figure dwarfs even the Incredible Hulk that Hot Toys offers by an entire 4.5 inches. As usual, this one will have built-in LED eyes, hands, legs, back and and a chest-mounted arc reactor, with enough space inside to place an Iron Man bust. It also looks like it would be at home in the Warhammer 40K universe, but that’s a story for another day. There’s no official pricing available yet for the Hulkbuster, but I can easily see this one retailing for around $600 when Sideshow set’s a release date for it. 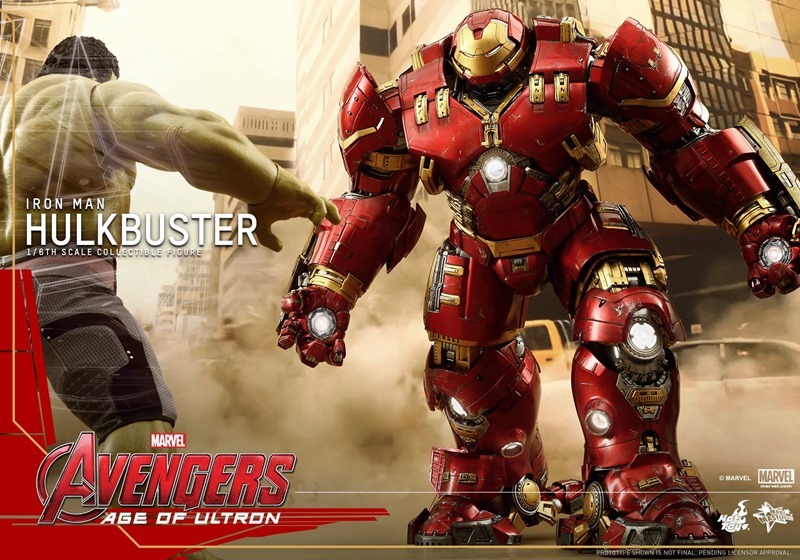 Update: Sideshow just released the official specs for the Hulkbuster. As well as the price. It’ll cost ya $824.99 for a toy replica that can smash the incredible Hulk.